I have been given some potted wired bonsai plants and I need some advice on what I should (and shouldn't be doing). I was told these are "Natal Fig" trees? And they should be relatively easy to grow into bonsai i.e. perfect for a complete beginner like me. Is the wiring correct or do I need to change anything? Can anyone describe what the objective is? I have read that it helps to try imagine the shape you want the tree to grow into and then wire\bend to achieve that over time. But I have no idea what shape makes a "good" bonsai. To me the tree looks a bit tortured or am I missing something. I am from KZN, South Africa. We are in spring (wet and humid). I don't have much bonsai experience, especially not wiring, so I can't say anything about whether your wiring is "correct." But I have a couple suggestions: as a beginner, your primary focus should be on learning how to keep your trees in little pots alive and healthy. It is not always easy, not being a very natural way for a tree to grow. And second, before you change anything, do some reading on the art of bonsai and/or find a local bonsai club. It looks like whoever did the wiring was aiming for a semi-cascade or maybe eventually cascade style. semi-cascade, the tip of the tree does not go lower than the base of the pot. Cascade style the branches will eventually start at or below the lip of the pot and the tip will be well below the base of the pot. Look for some inspiration photos to give you an idea of what you are aiming for. 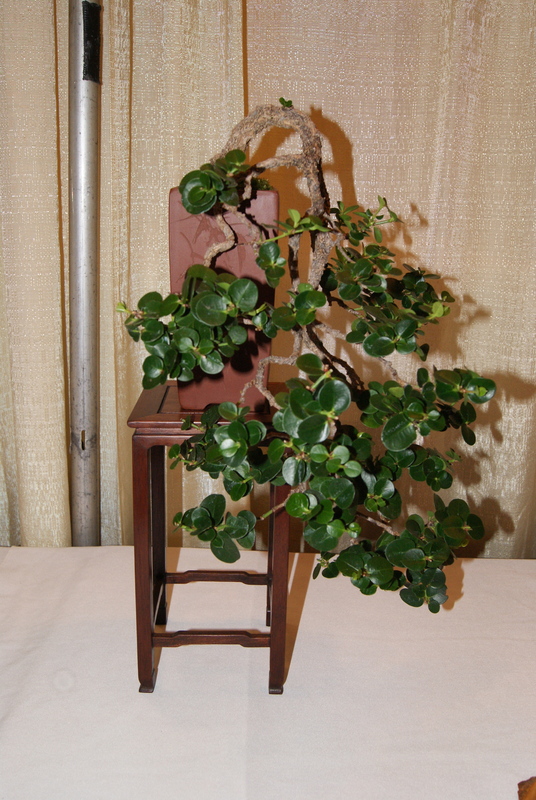 natal plum cascade bonsai, noted as with 20 years of training. re "the tree looks tortured." The image that the bonsai artist is usually going for is of a miniature version of a mature/ old tree that has been through the vicissitudes of nature. 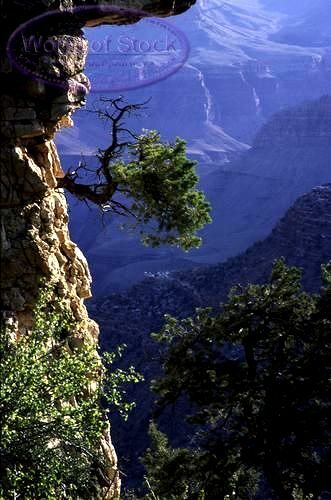 Think of a tree growing out of the rocks on a cliff side or a wind swept tree by the seashore. look around you in nature for inspiration! ...but judging by some of the examples on the web, these are very young and have ways to go -- so you'll have plenty of time to research and decide how you want to style them -- there were all kinds of examples, but this tree's primary characteristic seem to be those winding roots and contorted lower structures. I agree with rainbowgardener that first step is learning to care for the plants so you can keep them alive and healthy. 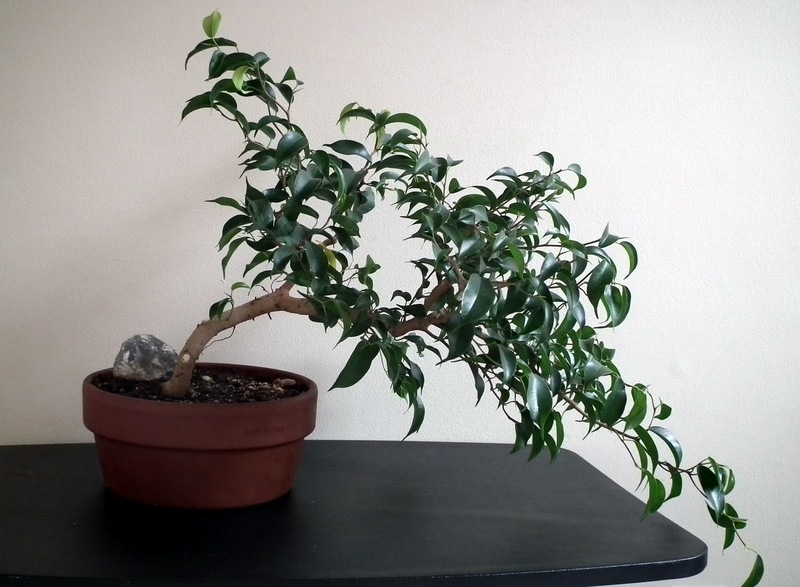 You should check out the bonsai beginner forum to answer some of the basic questions that may come up and read up or join a bonsai club. As for wiring. Wires should be removed before they cut into the bark. Usually 6 months or less. Copper wires can be reused. Select the guage of wire that is best for the size of the branch. Larger branches will need heavier wires and the curves will be larger. Smaller guage wire for smaller branches and more defined curves. When selecting a style for a tree, it is best to take a long look and have a final shape in mind. Like the picture Rainbow showed you. That will be your goal. I usually do not try to force a tree to grow into a shape it really doesn't want to be in. I let the tree tell me what it wants to be. Junipers and ficus are good beginner trees since they are forgiving. 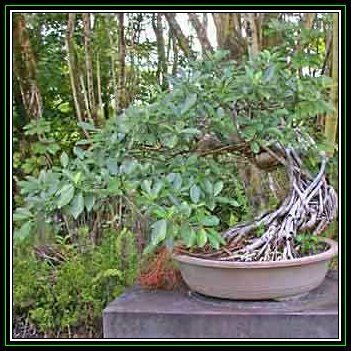 Remember bonsai trees are primarily outdoor trees and should be outside as much as possible. If you are a beginner and live in a very cold place, try to get a cold hardy tree or make sure you have somewhere with very bright light or artificial lighting for at least 6 hours a day. if you have to keep it indoors, provide high light or artificial lighting and harden off the tree to go outside as soon as you can. Collecting a tree along with beginner questions.